The iPad black screen may appear after iOS 12/11/10/9 update, or when you are using iPad to send an email or playing "Angry Bird" or iPad Black Screen of Death after drop. Whatever and iPad just struck on a black screen. I've seen a lot of people complain about iPad balck screen on the internet and here I summarize some possible ways to fix iPad/iPhone black screen of death, which, hopefully would be of some help to you. You can follow the tutorial below to fix iPad black screen. It not only works with smaller iPad Pro, iPad Air 2/Air, iPad mini 4/3/2, iPad 4/3/2, but also work for iPhone X/8 Plus/8/7 Plus/7/SE/6s/6s Plus/6/6 Plus/5s/5c/5/4s black screen of death. In fact, it applies to all iOS devices. Try connecting your iPad to something that uses the iPads battery juice. Wait till it runs out of battery, and then recharge it. It might work in some accasions and it is also the easiest way to fix iPad black screen of death. iPhone & iPod Black Screen you can also do this to fix iOS Black Screen issues. DFU mode can be helpful (iPhone DFU mode and iPad DFU mode are the same). 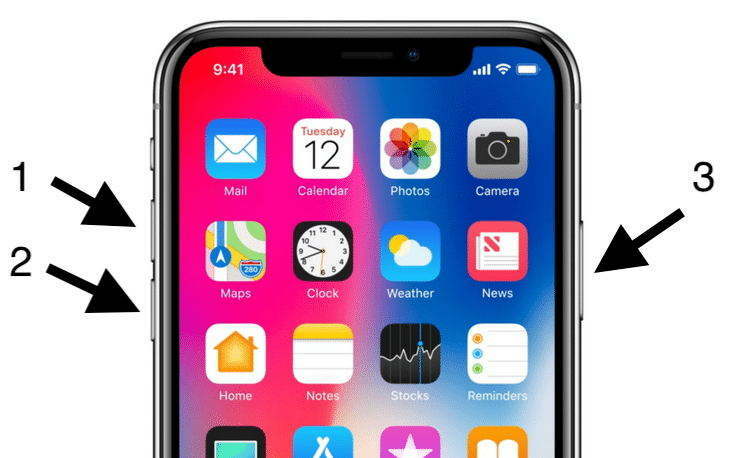 Hold the Power and Home buttons together (Home is the button on the front, with the square), for about 10 seconds, until you see the white Apple logo. Then let go, and allow the device a minute to reboot. It will then function as usual. When you have entered DFU mode successfully, the iPad screen will be black totally. If this does not work, you may need to connect your iPad to your computer and do a factory restore using iTunes. Till now, we have found a very excellent tool which is professional in fixing iOS black screen for free. It is Any iOS System Repair (ReiBoot) - iOS System Repair, and it is very easy to use - only 2 clicks. According to users' feedback, all users have successfully fix iPhone and even iPad black screen of death with this free software. 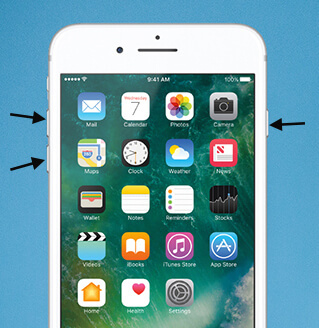 Download and install this free iPhone recovery mode software. Cick "Enter Recovery Mode" and wait for a few seconds to see whether your iPad is be in recovery mode. After this, click "Exit Recovery Mode" to put your iPad out of recovery mode. In most cases, your iPad problem can be fixed through getting in and out of recovery mode. Tips: If the black screen issue still cannot be fixed or it randomly happens again after a force reboots through entering/exiting recovery mode, I recommend you to fix this problem completely by repairing operating system. Click "Repair Operating System (Fix All iOS Problems)" in Any iOS System Repair (ReiBoot) and follow the program guide to fix the iOS to normal without data loss. This is a process to recover iOS system from any crash, errors and freezes, including stuck at white apple , black screen, blue screen, iPhone/iPad boot loop , etc. Step 1: Run iTunes on computer and choose "Summary", then you'll see some options. Step 2: Click "Restore iPad" to start the process. It may take some time to complete. Hope these tips are helpful in fixing black screen on iPad in iOS 12/11.